Communicating with customers is critical to your business, but so is maintaining the security of proprietary data and documents. Squaring the two is hard in a world where messaging and collaboration tools allow faster communication and more seamless sharing of data than ever before. 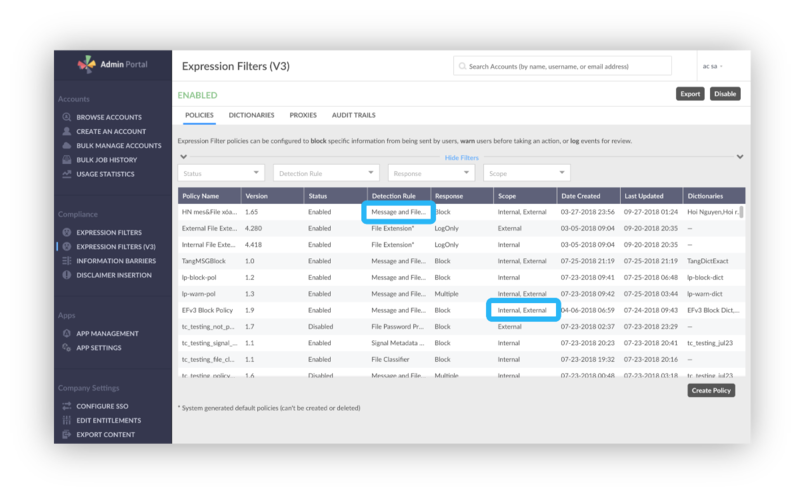 Given this, how can security and compliance officers protect employees from sending private customer data, non-public, or sensitive information to the wrong chat room? This very scenario is why Symphony now includes a native Data Loss Protection (DLP) solution to help companies detect and prevent potential data leakage and fraud by monitoring, detecting and blocking sensitive data sent over the platform. Based on policies set and defined by each individual customer, Symphony’s DLP provides real-time scanning of file attachments and metadata to ensure that only the correct recipients receive access to documents and data. In addition, compliance officers can select whether a policy should be applied to internal messages, external messages or both. 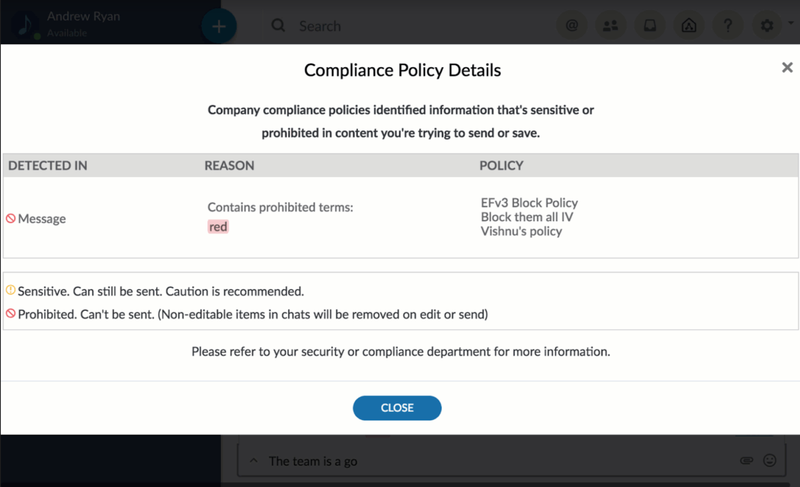 For each Symphony DLP policy, compliance officers can also decide what action to take when a message matches a policy: either prevent the user from sending the message by warning or blocking the user, or allow the message to be sent but log a violation. Symphony’s DLP also generates detailed violation events each time a policy is matched and provides programmatic access to these events so that incident managers can leverage existing tools and processes to review violations. With Symphony DLP in place, security and compliance officers can have peace of mind that company and customer data are protected when your employees communicate both inside and outside your organization. If your organization is interested in learning more, feel free to reach out to me on Symphony or to the team at secure@symphony.com.